FA: Bryan Law, George Ridgley, 7/08. A slabby start to a hard-to-spot bolt leads to some horizontal cracks, and a second bolt which protects a short, steep knob crux. 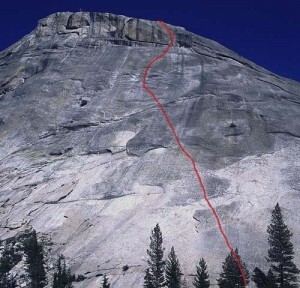 Climb to the anchor for String Cheese, and traverse to Eddie Muenster if you want to rap with a single 60m rope. The direct start is a bit runout to the first bolt. Which SuperTopo guidebooks include a topo for Pasture-ized?